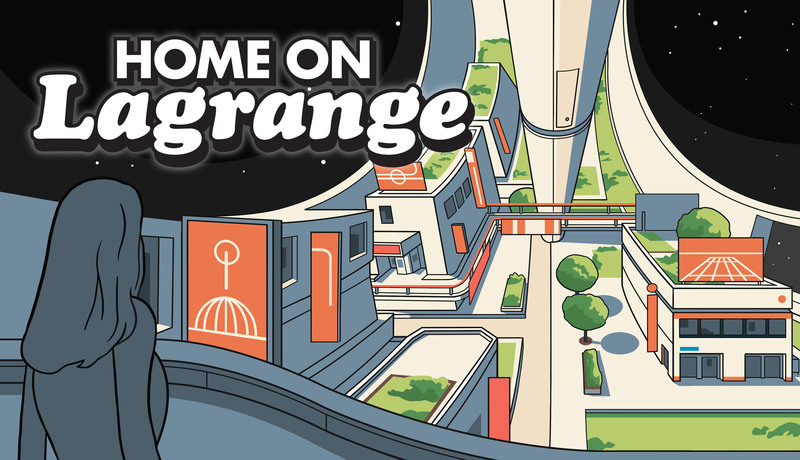 A week ago I posted the designer diary from Grizzly Games on their new card game “Home on Lagrange“. If you haven’t checked it out yet – go here. They talk about how they collaborated with the artist Adam on developing the fabulous universe of Lagrange. I am excited to share this interview with the artist from Leeds himself to shed light on the artistic process behind the images. Welcome, Adam tell us a little about yourself. I graduated from the Leeds College of Art (now Leeds Arts University) illustration degree a couple of years ago. Midway through the degree I began to get jobs; little bits for museums and educational projects. This was exactly the kind of work I really wanted to do; I’ve always enjoyed diagrams and informative pictures. After the degree I worked as the Student President, and a colleague happened to be married to Callum, one of the Grizzly chaps. It was in this context that Callum approached me to pitch his Lagrange idea; which was right up my street as I read figurative tonnes of science fiction material, as well as watching a whole bunch of TV and film. Have you worked on other games? Not on a professional basis; however when I was first discovering photoshop as a young sprog I made fake Yugioh cards to dupe friends (unsuccessfully); since then I’ve been looking for an excuse to work on a real game. What do you like in a brief on a new assignment? Specificity can be easiest; however there is plenty of fun to have with a client or collaborator open to some meandering experimentation (and indeed if there is the time for it). Can you tell us about your creative process when making a piece of art for the game from start to finish? Off the bat I had a few ideas which I bashed together in Photoshop, this was followed by the more traditional pen-to-paper scrawlings in my sketchbooks. For reference I collected a lot of reference material pertaining to 1970s futuristic artworks, since that’s the sort of thing the Lagrange game was going for. This was followed by more sketching to figure out the format and content of cards. There was a lot of constructive back-and-forth with the Grizzly lads to get what they had in their heads manifested as drawings. Once I had solidified a few cards it became fun to push the limitations of the format. 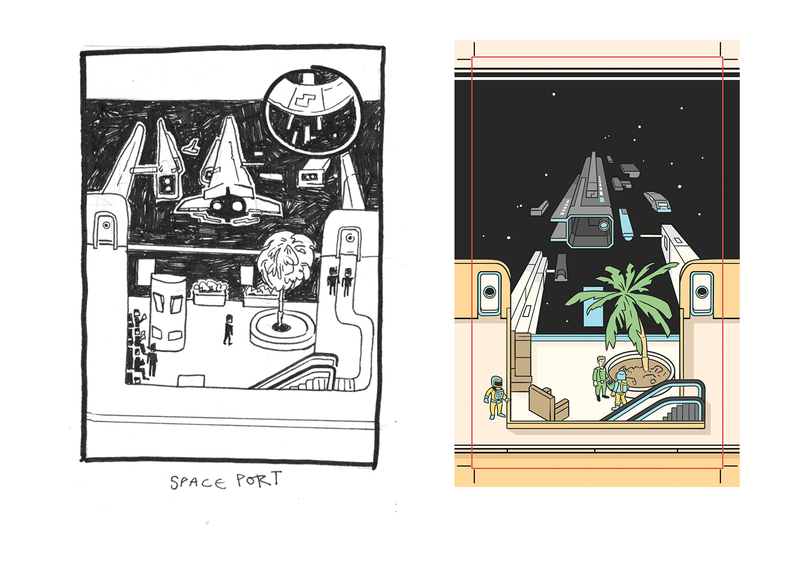 In brief, the process was sketching, followed by line-art and colouration; with amendment phases sprinkled throughout. What are your preferred tools (software/hardware/traditional) – tell us about your workplace? When I sketch, it’s mostly with pencils and fineliners, but I predominantly use a Cintiq for finished artwork; which is a screen one draws directly on. 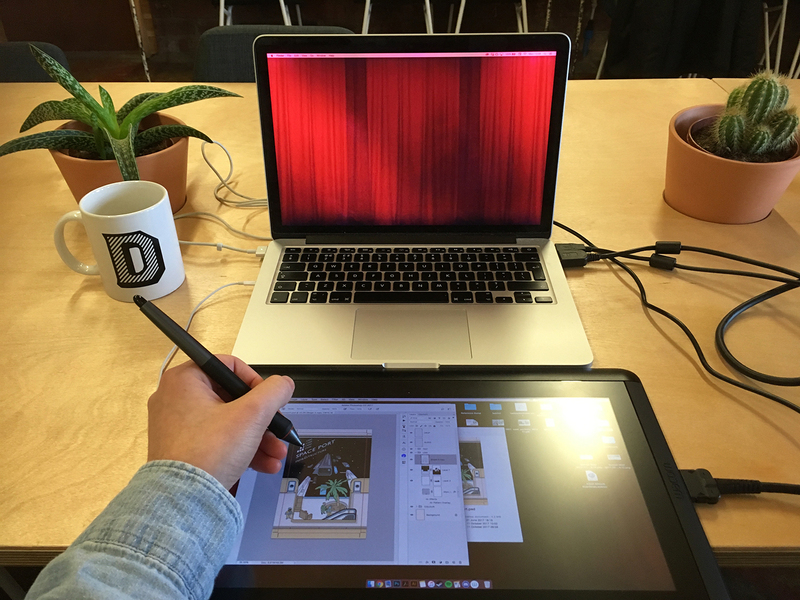 I currently inhabit Duke Studios in Leeds; it has a lovely cafe-library atmosphere of productivity and the folk there are lovely. The pictographic stylised look for Home on Laragne looks awesome. It reminds me of one of my favourite artist Chris Ware. The isometric look add some flavours of game and science. How did you find this style and what drives your work? In a kind of blasphemous way, I had no idea about Chris Ware until a few years ago when I saw him at ELCAF in London, I think he is rather good. My primary reference has always been Hergé, the illustrator of Tintin; they were probably the first books I read independently as a child. The isometric angles I like to use comes from prolonged staring at Dorling Kindersley books. 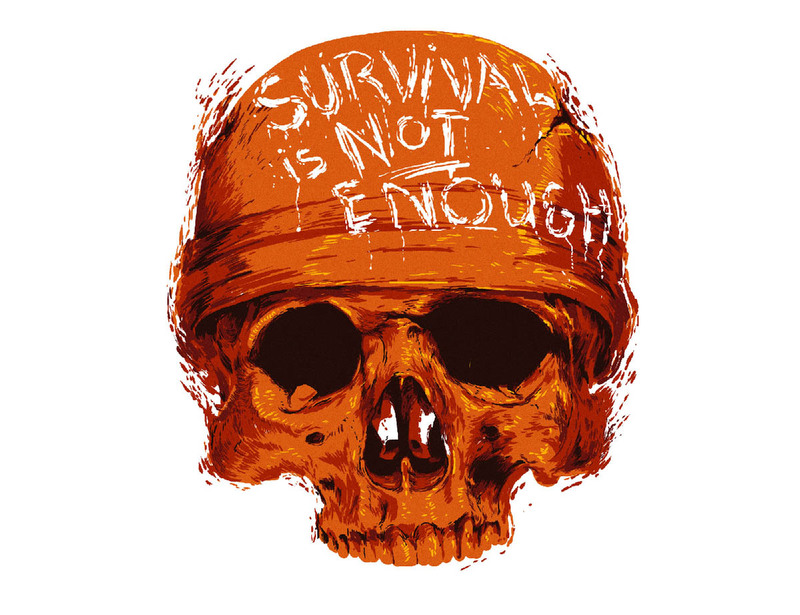 What do you think make strong or good game art? I reckon ‘glance-factor’ is the most important element to games. I find it similar to character design in animation or video games. If you can glance at a card or board and quickly understand what it represents, then its design has succeeded. Besides that any tone can work in the right context. Have you learned anything from the process on Home of Larange? I learned that I can get a lot of drawing done on a 10-hour flight. One just pops the wacom and laptop on the folding tray, and you’re all set. The Grizzlys have been a pleasure to work with throughout, and working with them to establish a sort of formula or visual language to the game improved the structure of my process. What’s the best piece of advice on making art you yourself have been given? One of my wonderful art teachers at school had a very simple mantra; ‘The more you do boy, the better you get’. It’s true. Name up to 3 artists/designers you admire? Is there one game you think is particularly beautiful (you did not make)? Machi Koro is the best looking game I’ve played. It’s nice to look a hand of cards that is stripped back and doesn’t have extraneous detail (although in some cases extraneous detail is a benefit). I’m currently working on an unannounced book; so stay tuned! Finally – is there any place for inspiration you want to advocate? Anything has the potential to be inspiration; a nice rock in the woods or a background prop in Star Trek: The Next Generation. I would say the my primary source of imagery is from watching film and television. I am a particular fan of going to Hyde Park Picture House in Leeds, it has a very pleasant atmosphere, and they frequently show cult, indie and classic film alongside regular programming. If any readers did not see the Grizzly diary it is here. It’s been just over a year now since myself (Jordan) and Callum, started working on our new card game, ‘Home on Lagrange’ and in that time we’ve learnt a lot. It’s October 2016, we’d both been recently working through the entire back catalogue of the 99% Invisible podcast. We had almost caught up when we listened to this; https://99percentinvisible.org/episode/home-on-lagrange/ and it clicked, there’s a game in there somewhere. Who doesn’t want to live in space? Who doesn’t want to be aboard a grand space colony like those seen in Elysium and Interstellar? Probably lots of people, but surely some might fancy venturing into the deep chasm of space with us? In a recent thread on Board Game Exposure on facebook Martyn Poole asked who everyones favourite artist was. Someone wrote “and I have fallen in love with art by the Mico. His style was particularly one I used not to care for much but really enjoy it and will defer to a Mico art game over another if it’s a toss up between the two”. With almost 200.000 pageviews on his DeviantArt gallery – there is no doubt many people and players like the style of the artist known as The Mico (which is pronaunced The MiCHo not The Miko ). 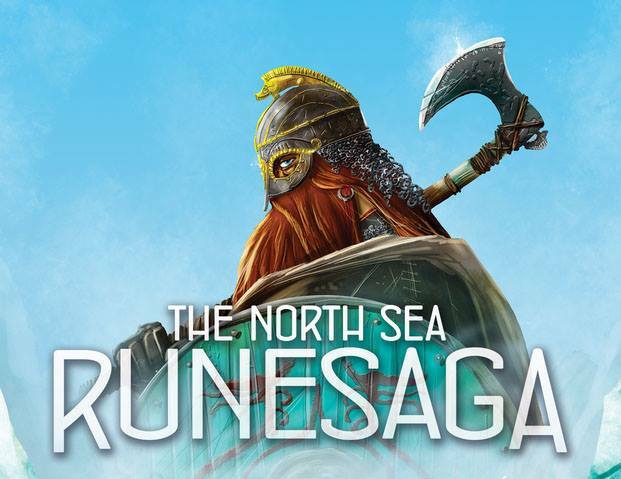 What I find fantastic – is the span between the style for Raiders of the North Sea and A Kings Life. Let’s talk with Macedonian artist Mihajlo Dimitrievskiallsaw. Tell us a little about your artistic background and how you got into making art for board games? I have been drawing as long i can remember. When I was little i used to draw on the margins of the books (like Sergio Aragones from MAD) and I guess that was my start. I actually started my “carrier” as an comic book artist drawing comics for magazines and school papers. From there I started to illustrate books and i started to work in major advertising company here in Macedonia as an illustrator and storyboard artist. Few years ago Shem wrote me about the game (Shipwrights of the North Sea) and I took the job. This is an interview with a very popular tabletop artist and designer. 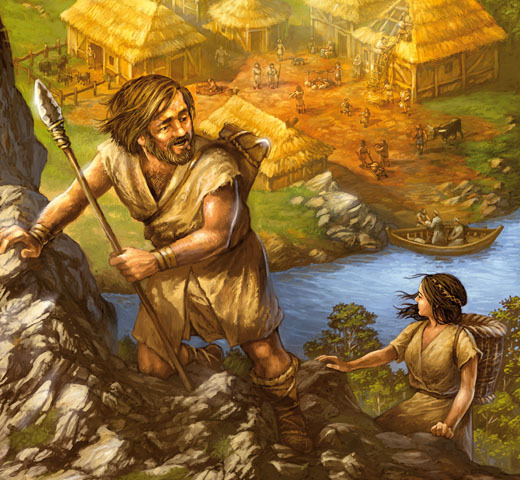 He has been in the industry for quite some time and put his skills into games like Bruges, Settlers of Catan, Stone Age, Shogun, Legends of Andor and many more. I never hear about Donners Reed Party before. Apparently the Donner party was some pioneers that set out for California but ended up captured by the weather in Sierra Nevada apparently ending up each other. 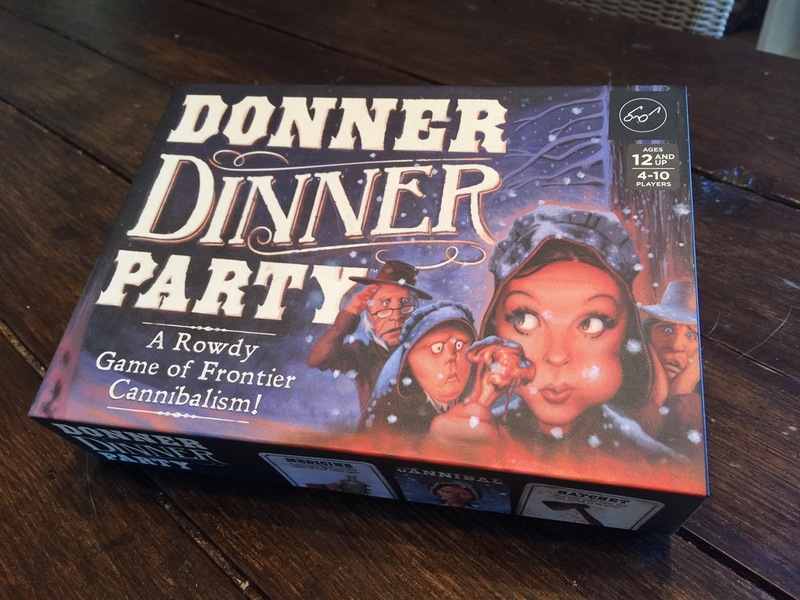 I like party games -and I loved the look of Donners Dinner party by Forrest-Pruzan Creative when I saw it on my tablet reading Tabletop magazine. Naturally – as I do – I had to learn more about the artist that made the wonderful character and item illustrations. I was surprised to find a very traditional artist with a talent for Caricatures. His name is James Bennett from Bucks County, Pennsylvania. Welcome James! I can see from your portfolio that you have some very traditional art skills in your luggage, tell us a little about your artistic background and what the deal is with all the Baseball caricatures. 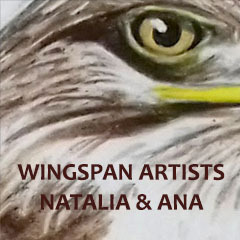 I’ve been a freelance illustrator for over 30 years, doing oil paintings of all kinds of characters for most major magazines and ad agencies. 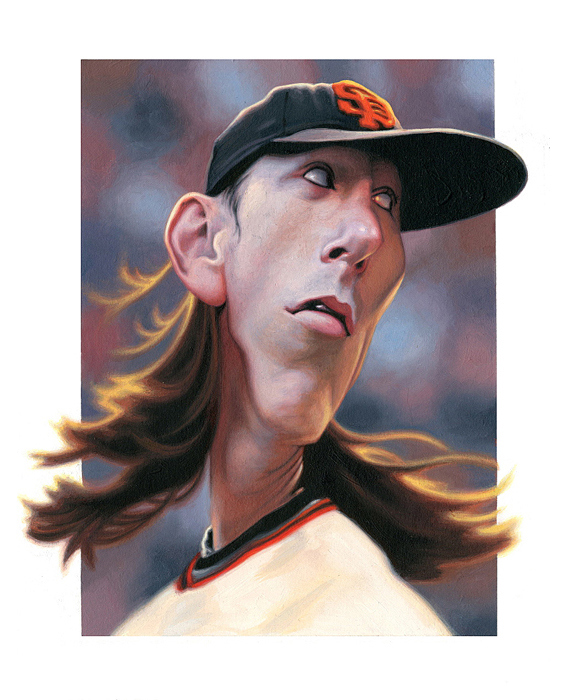 My most recent work is doing ballplayers for a rising baseball institution called The National Pastime Museum. How did you get into making art for a board game and have you worked on other games before? The creatives at Chronicle Books found my work online. Previously I’ve done a number of games, mostly covers, for a number of game manufacturers. Always a blast. What do you think is most important in a creative brief on a new assignment? Wether you are a board game designer or artist – twitter is the place to be it seems. This summer I startet to follow Pillbox Games Instagram profile – and BAM. The way they use that social channel is incredible using small video loops in half of the posts and generally having a nice light in the images and lots of friendly, happy looking people make their posts stand out from the stream of content I browse through. 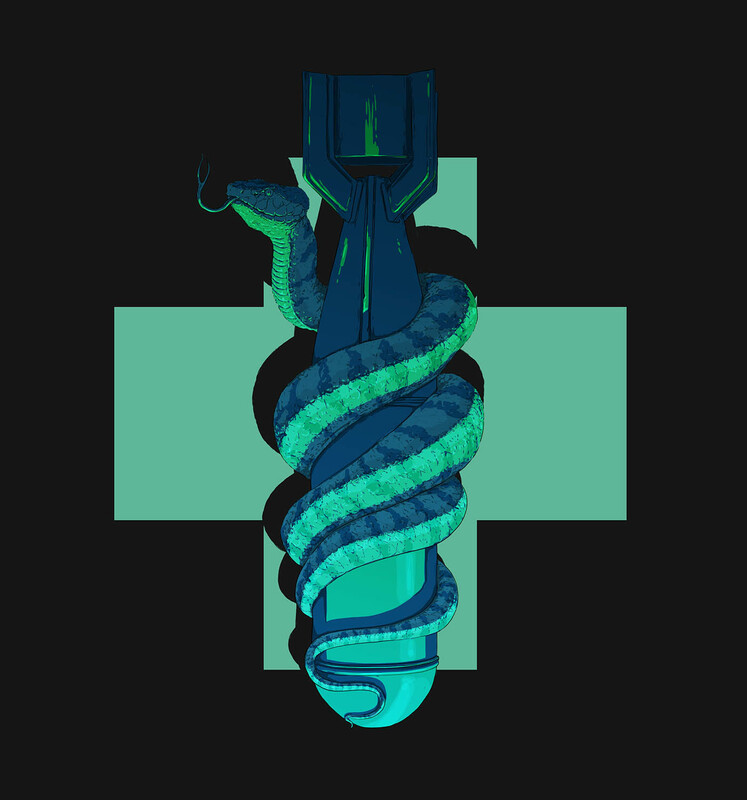 So it is needless to say that in these post you find pretty pictures of the art being created for their upcoming game Side Effects and the style of those card illustrations just continue to grow on you. Looking up the artist behind the very elaborate graphical illustrations you find Ben Bronstein from Brooklyn. His personal instagram is also a gem in creative content – spicing up his beautiful sketches with homebaked bread. I am thrilled to take us behind the creation of Side Effects. Welcome Ben. Tell us a little about your artistic background and how you got into making art for Side Effects? Do you remember when you first saw Trove or Vast as it came to be? The art was bold an humorous – and I was sold on the spot. Immediately a fan of the man behind the illustrations – Kyle Ferrin from Northern Utah. Following Kyle on twitter you might have seen there is a new project called Root that is being shaped by his pencils and I am excited to talk with Kyle on his process. I’ve been drawing as long as I can remember. I used to draw Garfield from memory when I was 5. I distinctly recall my Kindergarten teacher telling my parents that I was talented based on some picture of an Easter bunny that I drew. There are game designers making games, publishers that publish them and artists that illustrate them and then there are people like Ryan Laukat from Salt Lake City, Utah – who just do all of it. The games that Ryan ships out into the world are truly boardgame gems with a lot of personality. This is the story of Ryan the artist. Painting has always been a hobby, and it’s usually been linked with my love of games. As a teenager I spent hours illustrating my own game designs with watercolor and india ink. I really wanted to be a professional artist and spent a lot of time thinking about it. In my early twenties, I submitted a game design to Rio Grande Games and was hired to illustrate cards for Dominion. Do you like great poster design? I do! Sometimes I visit omgposters.com just to get a visual OD. 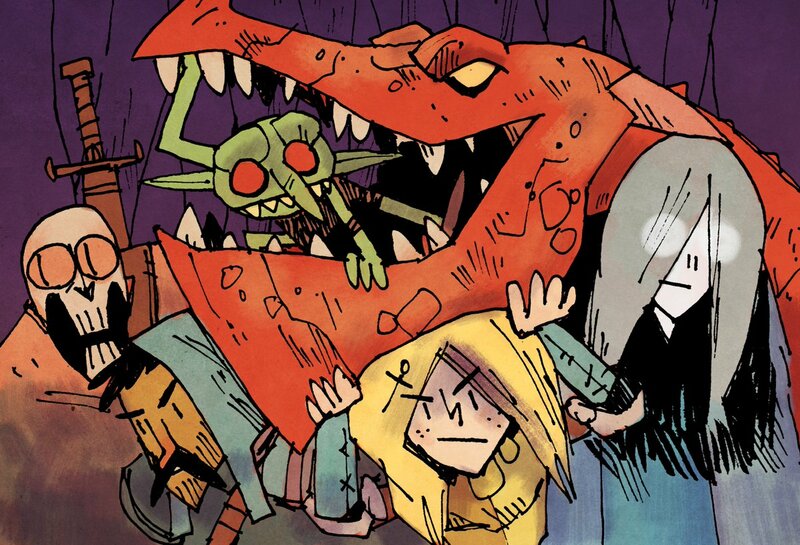 Most of the art on that page could be characterised as; elaborate ink work with a limited color palette. A style you do not meet very often in board games. Saltlands the Mad Maxque board game, is just like that – filled with amazing inked and dark illustrations. When I saw the illustrations for the game Critters Below I knew I had to speak with the artist behind them! Presenting the ink master Bazsó Lossonczy from Budapest, Hungary. How great is Instagram in board game marketing? It feels like a difficult channel to get a high level of engagement. 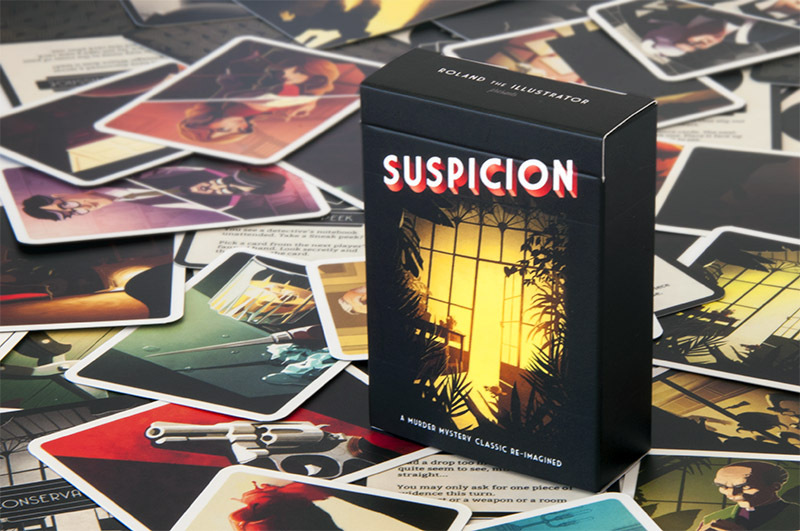 I am visual stimulus kind of person so I love the medium, scrolling through a stream of board game pictures is very inspiring. GreenHookGames strictly follow dedicated board game profiles to leave my feed untainted, but occasionally I also follow artist that I like, especially board game artists. This is how I came across the english board game artist Roland MacDonald. You might already know his work – because it is top of class and outstanding. He now live permanently in Utrecht Netherlands. Can you tell us a little about your artistic background and how you got into making art for board games? I have always enjoyed drawing and making things but my path to becoming an illustrator had more than a few detours. I studied fine art but it was conceptual/contemporary art and painting was heavily discouraged. I learned more about philosophy than art so that was a misstep after that I became a Chef which was an adventure but another diversion after doing an MA Game Design I got an art position at Sega/Creative Assembly doing 3D modelling for PS2 and PC games. I found modelling to be unsatisfying creatively as you are mostly making someone else’s concepts. So I started working hard to retrain myself to be a concept artist/illustrator. I used every spare hour I had for two years and eventually got asked to do the concept art and illustrations for Shogun 2 Total War. That was an excellent opportunity.